In the coming months, I’ll continue to write about issues related to strategies for economic growth in the Maghreb and youth employment in particular. These topics are particularly challenging because jobs, equality, and dignity are themes still resonating negatively after the Arab uprisings, as there has been little progress in addressing these issues. While there are many structural concerns that impact job growth, ranging from broadband availability, logistics and distribution facilities to legal and regulatory regimes and political risk, there are substantive issues as well. Among the most pressing is identifying core sectors of opportunity for investments that would result in large-scale job creation. This is a critical concern because foreign direct investment (FDI) usually targets multimillion dollar projects that, aside from tourism and shopping malls, are more capital than labor intensive, limiting their net impact on job creation. And in the Maghreb countries, agricultural labor still is the dominant sector for employment, which is both seasonal and outside the typical government social services schemes. Thus, there is a priority on filling the gap between small concerns, which are usually in the informal sector, and the large concerns, where jobs depend on skilled applicants. In developed countries, small and medium-sized enterprises (SMEs) generate 60 to 70 percent of jobs. 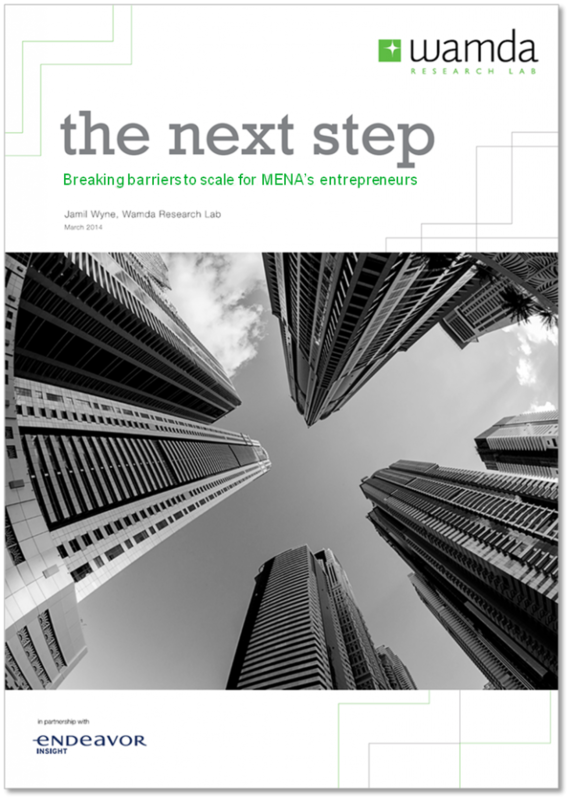 According to The next step – breaking barriers to scale for MENA’s entrepreneurs, a recent report from Wamda Research Lab, “in the Middle East and North Africa (MENA), SMEs, which constitute a majority of enterprises [approximately 80-90 percent], account for an average of 30 percent of private sector employment and 4 to 16 percent of total employment.” This more limited role for SMEs as job creators in the MENA highlights two negative outcomes: the high level of public sector salaries distorting the overall labor market and share of national budgets, and the scale of the challenges facing the private sector in growing employment when SMEs are quite small in scale. Increasing revenues through better marketing, market access, and market education for consumers and entrepreneurs to drive in-demand products and services.